Need help? Article unavailable? Ask Us! Where can I find soil surveys? Soil Surveys can be found in CatSearch by doing a Subject search for "soil surveys [state name]" or "soil surveys [state name] [county name]". For example, to search for Gallatin County soil surveys, type in "soil surveys montana gallatin". To find all of the Montana soil surveys the library owns, search for "soil surveys montana". 1899-1963: Soil surveys are arranged by year and then by series number (assigned by Soil Conservation Service). 1964-1993: Soil surveys are arranged by county name and then by state name. For example, the 1987 soil survey for Adams County, North Dakota, can be found at A 57.38:Ad 1/12, indicating that this is the first of 12 Adams Counties. 1994-2006: Soil surveys are arranged by state name and then by county name. For example, the 1996 soil survey for Taney County, Missouri, can be found at A57.38/25:T 15. Missouri is the 25th state alphabetically, and T15 indicates the county name. 2007-present: The most recent soil surveys are only available online from the USDA. How is soil survey information organized? County information, including history, topography, resources, and a detailed description of soils. County soil maps organized by order, suborder, great group, subgroup, family, and series. Classifications are based on field and laboratory observations. Where can I find additional soil surveys? The USDA has many current soil surveys available online. For these and other resources, check out the other tabs in the Guide. For those less interested in electronic versions of surveys, #246 Leon Johnson houses approximately 50 non-electronic versions of soil monoliths that provide a museum-quality collection of "mummified" soil profiles from all over the United States. Montana has a state soil -- Scobey soil. 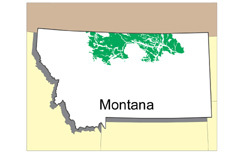 This soil has been designated as Montana's state soil by the National Resources Conservation Service (part of the U.S. Department of Agriculture). A state soil is a soil that has special significance to a particular state. Each state in the United States has selected a state soil, twenty of which have been legislatively established. These “Official State Soils” share the same level of distinction as official state flowers and birds. Montana is one of about 30 states without an official (legislatively established) state soil, but soil scientists and Bozeman fourth graders are currently spearheading an effort to have the powers-that-be in Helena designate the Scobey as an official state soil during this upcoming legislative session. The Scobey series consists of very deep, well drained soils on till plains, hills, and moraines in the north-central part of Montana. These soils occur on more than 700,000 acres. They are among the most productive soils in Montana's Golden Triangle, an area known for its ideal climatic conditions for growing wheat of exceptionally high quality. The three points of the Golden Triangle are Havre, Conrad, and Great Falls. The main crops grown on Scobey soils are spring and winter varieties of nonirrigated wheat. 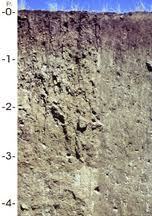 These soils formed in glacial till and under prairie vegetation. The average annual precipitation is about 12 inches. The average annual temperature is about 43 degrees F. The frost-free period is about 115 days. These soils are named for the town of Scobey, in northeast Montana. The series was established in 1928. To learn more about state soils, click here.